Dutch Filtration has developed a new OilLock filter system for the clean-up of oily water and/or eliminating oil from water. Our oil absorption elements have a high absorption capacity and remove all free and dispersed oils in a single pass. The locked oil instantly forms a bond with the media and solidifies. During the filter process the oil absorption cartridge will slowly build up a differential pressure. When this differential pressure reaches the maximum of 30 DPSI (2 bar) the cartridge blocks. Because the cartridge blocks, bypass of hydrocarbons is impossible. This is the indication the oil absorption cartridge needs a change-out. During handling there is no contact with saturated media because the hydrocarbons are absorbed and locked in. The 2.5x40 inch oil absorption cartridge is designed to hold upto 1.2 ltr of hydrocarbons. Maximum recommend flow rate per element 1.1 m3/hr/40inch element (5 GPM) This oil absorption cartridge, OilLock, is an effective absorbent for hydrocarbons and volatile organics. Dutch Filtration’s OilLock is excellent at reducing the hydrocarbon levels in oily water to meet the strictest discharge regulations. The different construction parts of the oil absorption elements are made from polypropylene and an environmentally friendly bonding agent. The structure of the oil absorption element is a very strong fully thermally welded polypropylene construction, to insure the element meets the highest industrial standards. The Oil absorption cartridge can be used in our standard filter housings or filter units. But the OiLock cartridge will fit in every other standard 40 inch filter housing with code 3 connections. 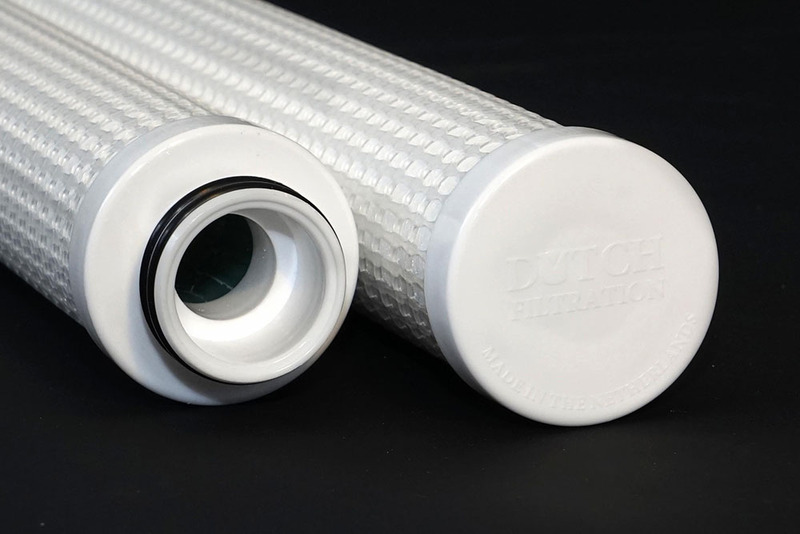 To complete your process, Dutch Filtration provides a wide range of filter solutions. 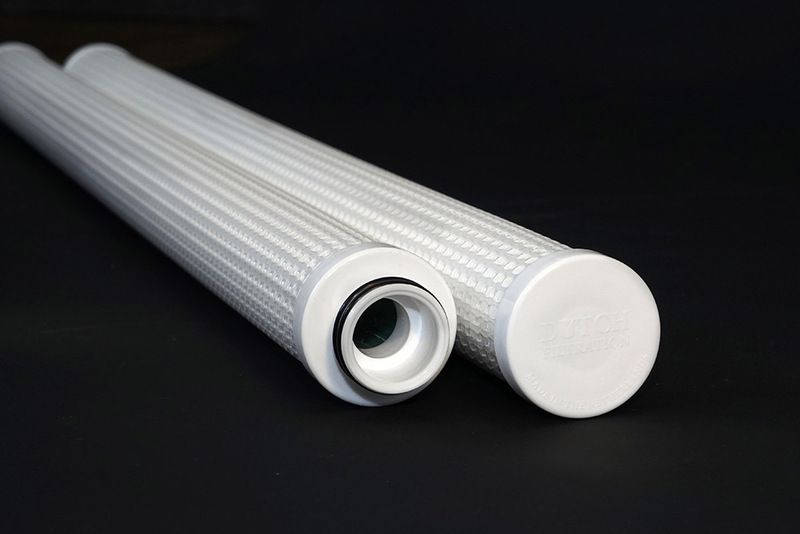 All filters can be customized to meet your specific filter requirements.